It is always so flattering to be asked by someone to create a piece. 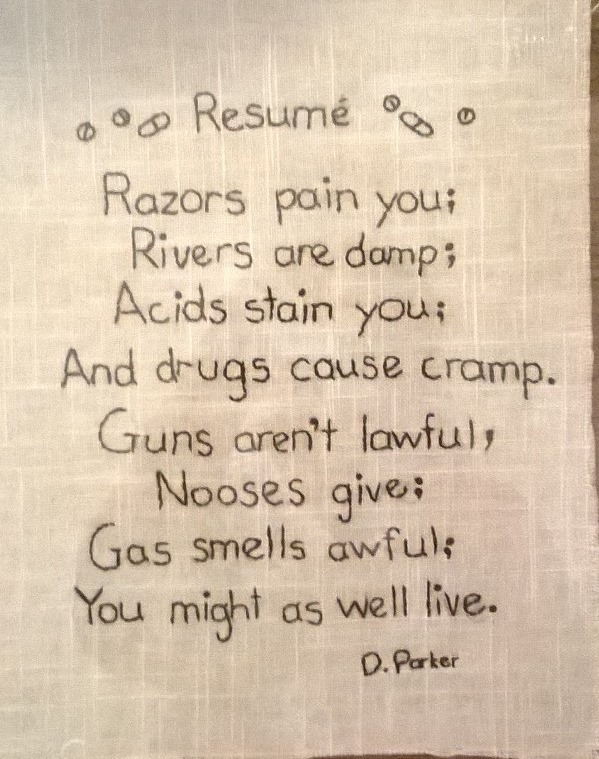 This commission was especially fun because I love Dorothy Parker and I love stitching these little sayings. I plowed through it with Netflix’s “The Killing” playing in the background. The best part though is that the piece is for another artist so we did a trade! If you are interested in a commission please let me know, I’m always interested. And if you are another artist, perhaps we can trade pieces!